In last Sunday’s message on Judges 7, we reflected on God’s whittling down of the army of Israel from 32,000 to a mere 300 men through whom the battle would be won. The key point is when the Lord says to Gideon: "The people who are with you are too many for Me to give the Midianites into their hands, lest Israel claim glory for itself against Me, saying, ‘My own hand has saved me’" (v. 2). This week we will celebrate Thanksgiving. 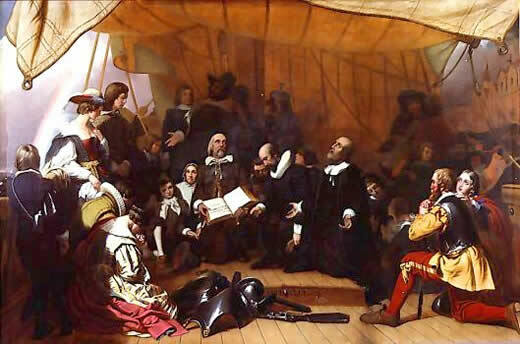 Who would have thought when a group of a mere 102 passengers set sail on a cramped vessel called the Mayflower on August 22, 1620 for a perilous journey across the wild Atlantic that God would use them to establish a nation that would be a beacon of light and religious liberty. We now speak reverentially of those passengers as the Pilgrims, but their contemporaries called them "Separatists." Their fellow Englishmen ridiculed their desire to live separate from the world and the compromised Christianity of their day in the Church of England. They thought of them as religious fanatics, or as we might say today, "fundamentalists." God is pleased to do great things through slender means.